The Garment Project liberates women in recovery from eating disorders from the worry of clothing sizes. Erin Drischler and Jordan Tomb are the co-founders of The Garment Project, a Pittsburgh-based nonprofit that has developed unique way of helping of people in recovery from eating disorders. Here, MissionBox CEO Kathryn Engelhardt-Cronk talks with Erin and Jordan about their innovative work to help others on their journey to recovery. 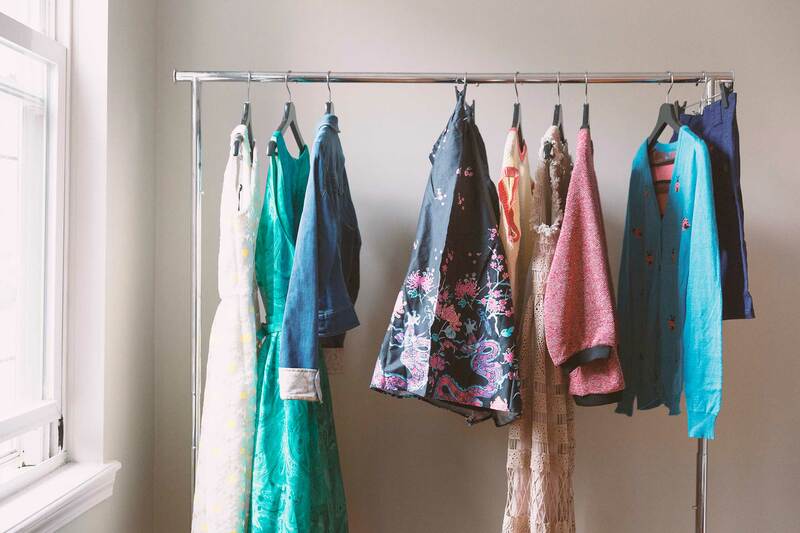 How does the Garment Project help women in recovery from eating disorders? Erin: The Garment Project empowers women who are recovering from eating disorders by providing them with sizeless clothing that fits their new healthy bodies and lifestyles. Clothing retailers donate clothing to us with all the usual tags and sizing on it. We organize and categorize our inventory, remove the tags and make our clothing sizeless. Many women in recovery from an eating disorder are not comfortable with size, weight, and measurement information. We give clothing to people and give them confidence without worrying what the size on the tag is. We launched in February with National Eating Disorders Awareness week, and it's just taken off since then. How widespread are eating disorders? Jordan: There are 20 million women in the United States with eating disorders. As with many mental health issues, it's something that, a) we don't feel very comfortable talking about with each other, and b) we maybe don't have the whole story on. There are also 10 million men struggling with eating disorders. There's no medication out there for eating disorders, there's no commercials on television. The conversation about it is nearly nonexistent. But, what Erin and I both know is that recovery from an eating disorder is 100 percent possible and it's achievable if we're able to keep these conversations growing, and get more people the help that they need. Erin: I struggled with an eating disorder for about 14 years of my life. After treatment, I would come home to a closet full of clothes that were either too small or too big or even if they fit my body, I knew what size and how much I weighed at a certain point when I was wearing them and it would bring me right back to where I started. I didn't really have the confidence to package them up and hide them away, nor did I have the financial stability to buy a whole new wardrobe. Once I reached a point in my recovery when I felt confident and stable, I knew that this was something that a lot of people were struggling with, that I could not be alone in this. What can you tell us for helping folks with eating disorders? Erin: What really worked for me was a hands-on experience. I was in a lot of group therapy, so I felt supported, but I also could be held accountable. I learned how to really cook and enjoy my food. We grew a lot of our own vegetables in the backyard at the center that I was at in California. Having the opportunity to sit with other women who were going through the same thing where we learned from each other and learned from a staff where the majority of the staff was also recovered [from eating disorders] was powerful. Not only did I know that they had been where I was, but they were now living a 100 percent fully-recovered life, which I hadn't believed was possible. Does the Garment Project get any help with inventory from clothing retailers? Erin: We were fortunate enough to have been approached by our first national retailer within 24 hours after launching Garment. We aligned with NEDA and Rue21, who donated six boxes of clothing. We plan to continue working with them and we have also received inventory from ModCloth. We are reaching out to other retailers for more partnerships. Jordan: We are also partnering directly with treatment centers and focusing our service on people that are getting ready to transition back into their daily life from residential treatment centers. We want to expand that concept to start helping people in an outpatient scenario where maybe they can't afford to go to treatment, but they still need this stuff because they're working on their recovery. What else do you have planned for the future of the Garment Project? Jordan: We are we are pursuing our own 501(c)(3) status. Right now we're fiscally sponsored by an organization in Pittsburgh called New Sun Rising. It allows us to apply for grants and take donations and get the ball rolling while we're still doing our own application process. And there are a lot of people out there on the female gender spectrum that are dealing with eating disorders, there are also men out there that are struggling too. Getting help to those men is another goal for us. What else would you like us to know about the Garment Project? Erin: We just really want to show people that recovery is possible. Many people believe you will be saddled with an eating disorder forever. It feels really good to be able to say that I wake up every day and I don't have those thoughts anymore. It is very, very difficult, and you'll slip a lot along the way, but if you can learn to forgive yourself and not take yourself so seriously, then it really can be done.